We’re already a full week into June and I haven’t posted my income and expenses from May yet. Would something be the matter? Well yes, May’s savings aren’t what we’re used to! However, and as you all know, I openly share my savings rate, even when things aren’t as rosy. So let’s jump right into the cold hard numbers. In last month’s savings report I expressed my hope that I would be able to break May 2014’s record, but alas. Things went a little different than according to plan, in large part because of my own accord. Nevertheless, I’ll gladly share May’s income and expenses with you guys. As you all know, I do so for two main reasons. First, I remain dedicated to showing every one willing to listen that financial independence or freedom isn’t a pipe dream or fairy tale, but a real possibility for average people like ourselves. You don’t have to make a killing at the office and be a member of the 1% income group to save enough for a free-of-work lifestyle. Second, I try to remain motivated by being an active member in our community. The fact that so many people follow and comment on what I’m trying to achieve provides a massive boost to morale, especially when it’s difficult to talk about your goals with friends. Over the course of 100 blog posts, I’ve noticed that you guys are the main reason why I have achieved as much as I have already – thank you. Below you’ll find a detailed breakdown of both my income and expenses. Boom, huge income! Because many Belgians, myself included, traditionally receive holiday money from their employer in the month of May, you’re likely to find May’s income numbers inflated when compared to other months. Although holiday pay slowly became an outdated concept because it was originally conceived as a way to get middle class households to enjoy a vacation once a year, I won’t say no to more income. Besides, what’s more impressive to me lies in the fact that dividend income once again toppled a previous record high. 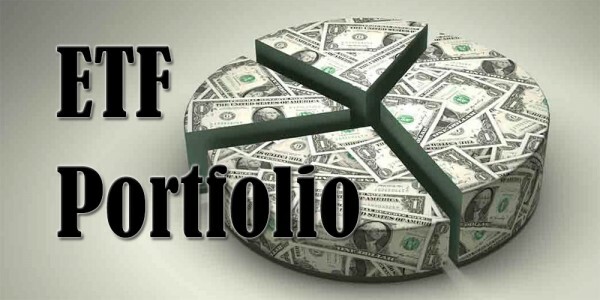 Without any active participation on my part the assets I own are already generating about 6% of my usual paycheck in May. That’s pretty remarkable. Think about it, I started investing one year ago and already those investments cover one day of work in May. My Win for Life strategy seems to be working. Ouch, that’s a lot of money going out – more than my usual salaried income! The culprit here is a brand-new road bike I purchased a couple of days ago. Since my employer and the Belgian government offers an incentive to cycle to work, I hope to regain my costs in the long-term by changing my commute routine. Spending money to make money isn’t something I’d usually recommend, but in this case it made sense. Because I receive over €13 each day I bike to work, you’ll see my monthly income jump by an estimated €130 from now on. This in turn should provide a boost to my monthly savings. Speaking of which, in May I managed to sock away 1,258 Euros or 35.4% of my income. That’s not as good as most other months, but still excellent all things considered. Taking the bicycle out of the equation would have given us an impressive savings rate of almost 80%. Since utilities remain strongly underrepresented in my dividend growth portfolio and because I wish to take advantage of the wide economic moat utilities enjoy, I decided to purchase the British electrical grid operator National Grid plc (LON:NG) with my savings. Although NG’s dividend yield used to be higher, the 100 shares I acquired still boost my yearly dividend income by another €45. To no one’s surprise, your savings percentage takes a big nosedive when you have to log big, one-off tickets like a brand-new road bike. However, I consider my bicycle an investment because it has the potential to make me more money than it cost me, even over a relatively short time span. My overall savings rate nevertheless dropped by a lot too. Currently I’m sitting at a comfortable 65.3% savings on average for the entire year, but that’s below my 70% goal and well under April’s numbers of 74.1% on average. A nine percent drop isn’t pretty, but I’m confident that I’ll be able to climb back up again over the coming months. That’s because on top of the extra bike earnings, I’ll also be receiving a relatively large cheque from the tax authorities because I overpaid in 2014. As you can see, there’s nothing here to complain about! Savings were lower, but with a potentially huge upside: more future income. I’m happy as can be. Were you satisfied with last month’s savings? 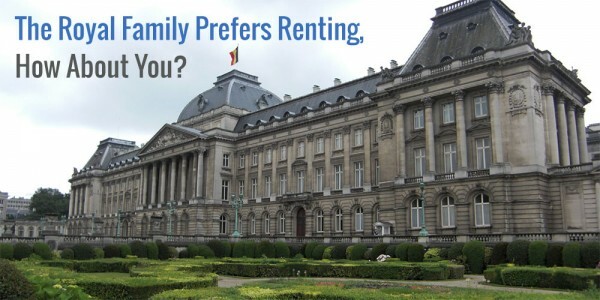 Did you also receive holiday pay like most Belgians? I admire the way you keep track of all the savings, I can’t seem to be able to muster the strength to do it myself, although I have decided to start tracking this aspect from next year. It takes some time to get used to keeping track of your spending this meticulously, but over time it became a habit. Now the first thing I do when I get home in the evening is whip up my Excel sheet and input the numbers. 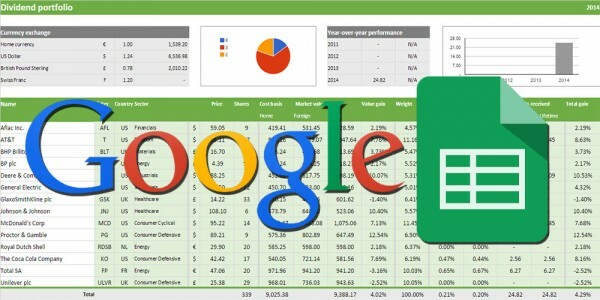 Even better, you can also do this on the go if you use Google Sheets. Let me know if you manage to track your expenses! Best of luck. It’s not really an investment, but I love to think of my bike that way. For the time being it’s been a huge money sink (bought a new helmet and some other gear this month), but we’ll see how things turn out. Enagas is on my purchase list… I’ll probably buy it this month to take advantage of the compressed price and to still scoop up next month’s dividend. Happy to hear you’re a shareholder already! Yes I am already a Google Sheet addict, tracking expenses is on my todo list, will most certainly start before the end of the year. Still the company is not just European, they do a lot also in South America. Not bad at all, NMW, considering the massive expense. As you say, with the scheme in place that outlay will slowly but surely be chiseled away! 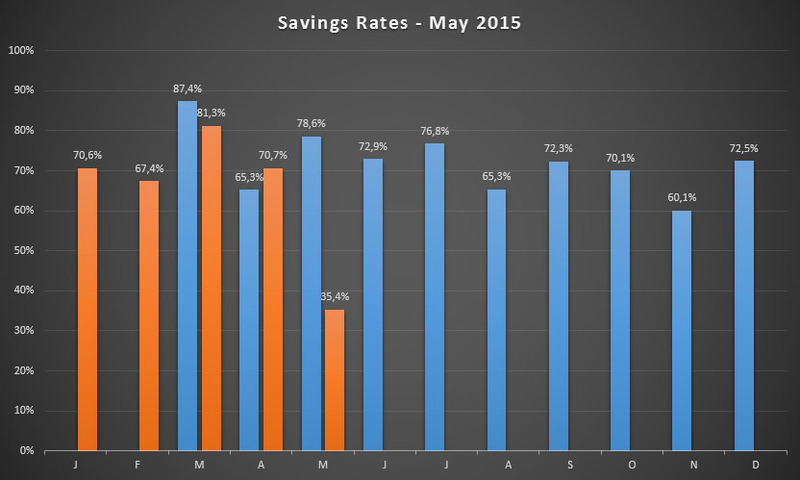 A 65% savings rate even after this “underperfoming” month shows just how well you have done up to now! My expenses for June are going to be more than last month. Everyone has “weaker” months from time to time. This year has been a crazy ride thusfar. I experienced a lot of windfalls, but overall I believe much of the savings potential is sustainable. May and June will probably drag the overall result lower, but that’s a good motivator to push a little bit harder the coming months, isn’t it? Looking forward to read about your June savings. Don’t mind the weaker months too much – this is a longterm game and we’re already winning! Well that is good to hear that you think it is sustainable. Bodes well! April and May were pretty good months expenses wise which will make June “feel” worse than it is likely to be. It may still surprise me. I am trying my hardest to achieve that! It’s incredible that you made a large purchase (your bike) yet were still able to save over 35% – bravo! Most people (but then, you’re definitely not ‘most people’!) would have saved very little if anything at all after such a purchase, unless they were able to pay in instalments! Your savings rate is still awesome, even though it’s below your targeted average – it’s not like you buy a new bike every month so I’m sure we’ll see those figures back up to their normal highs! I second weenie on this one! Still an awesome performance for May considering the large investment in a road bike. You probably will still make your target for the year. I’m pretty sure that 70% is still on the table, but it won’t be easy. I’ll have to fully save my tax return and year-end bonus to make it, so we’ll see what happens. And who knows, maybe the maintenance for the bike turns out to be more expensive than hoped. Without the holiday bonus it would have been a negative savings rate this month, so I’m happy it hit my bank account his month. Over the long run it doesn’t really matter when it hit, but psychologically it feels better this way. Even with the large purchase you managed to save over 35%. Impressive regardless. Some people wouldn’t be able to save enough 5% without any big purchases. Keep up the good work. In the grand scheme of things 35% isn’t too bad, but I’d like to get back up to my usual levels as soon as possible. It simply feels moch better! You have an absolutely impenetrable financial plan going NMW – if a super-expensive bike can’t even bring your savings rate below 30%, then I think nothing is going to stop you! I’ve had a few big expenses recently, and my savings rate dips well and truly into the negatives in those instances, so you’re a long way ahead of most of us! Keep the updates coming NMW! I’m sorry to hear your savings rate dipped into the red a couple of times, but I wouldn’t worry too much if I were you. You’ve got a solid plan in place, you’re doing great overall – especially with your lovely family! Keep it up and I’m sure you’ll achieve remarkable things! Buying a money making bike and still a savings rate of 35,4 pct… Great job. Thanks to the vacation money almost all Belgians receive I was still able to make 35%, which I’m happy about. And you’re right that the tax refund will probably push me back up to the 70% bracket over the course of the following months. Either way, I’m happy with my purchase. I’ve had loads of fun already and biking to work is really building my physical strength. Nice month even with the wise purchase. To be fair my dog did not cost as much as your bike up front, but he will be more work in the long run for sure. I already am getting up an hour earlier because he needs to pee and my wife sleeps in. You win some, you lose some! I can imagine the financial costs don’t weigh up against the joy and fun your dog brings you. I’m not much of a dog person, but having a faithful companion running down the house all day will brighten up your days. Besides, getting up an hour early might be the perfect time to do something productive rather than stay in bed with your wife! Way to go on the bike! I am doing something similar, although my bike only cost about $100, but each day I bike to work I save $14.20 in train costs. I recoup the cost of the bike every week-and-a-half! Pretty sweet deal you’ve got going there! Saving $14 every day in train costs is massive. You’ll really feel the difference at the end of the month and year if you manage to keep the bike riding up. Sadly I don’t save any train costs because my employer also provides a rail card to all employees. You’re a brave man to expose your expenses like that! Every time I look at my monthly expenses, I feel like I want to cancel everything and move to Albania. Suffice it to say, you’re doing much better than I am in that regard. I don’t know about brave, but it’s certainly not all too common that you find people’s expenses this detailed out in the open. I feel like it brings a lot to the community, so that’s why I publish my savings rate this openly. And regarding Albania, I have the great fortune of having a completely remote job, so I could technically move there. I probably won’t though. Nothing against Albania — I’ve seen pictures and there are some amazing spots, actually. I’m just too much of a chicken to uproot. Awesome month right there. 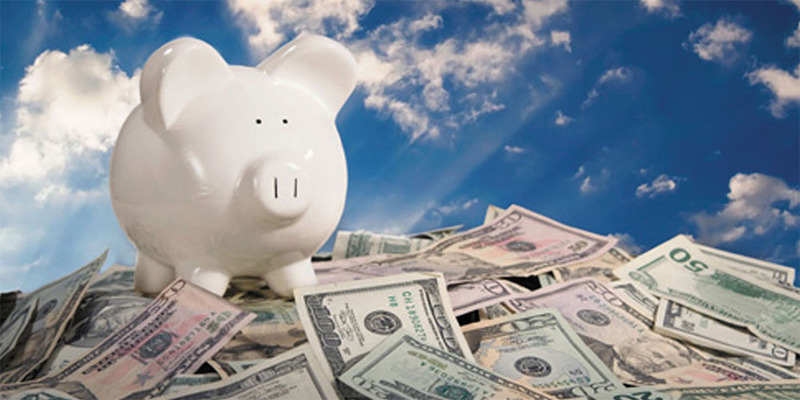 You still hit a savings rate that was about five times the national US average even with a large, one-time purchase. Nice! It’s awesome that you’ll be paid to ride your bike to work like that. I’ve never had that kind of opportunity. But not only will you be paid cash money, but you’ll also be paid plenty in the sense of increased health and resiliency. 35% is awesome considering the bike purchase, but I can’t wait to get up in the high 60% range again. It simply feels better, even though my expenses are fully justified this month. Being paid to ride to work is quite common in a lot of European countries, I believe. I think it’s a nice way to incentivize cycling and healthy commuting, especially when you consider that Belgium is one of the most congested countries in the entire world. And like you said, the money is nice, but the better health and physical prowess make the deal so much sweeter. Hope you’re well over there! Nice numbers and still an impressive savings rate even with the bike purchase. That bike will be paying dividends in commuting savings and incentives. I also splurged on a new bike in May but it is a beach cruiser type that I have wanted. More for casual rides into town so some small savings but mostly the new tech and comfort will ensure I have no excuses not to ride more. It normally listed for $550 and I purchased on a sale after waiting some months for $389. Even after reaching FI saving money stays in the blood. You got an awesome deal on your beach cruiser type bike – that’s almost 30% off! And like you said, there are more savings to be head when you use it to ride into town instead of using your car or public transport. I hope you get good use out of it! Great job in May. I think we need to get that money-giving tradition over here in Canada as well! I can’t say I’d turn it down, either. Earning 6% of your paycheque this early in the game is a great feeling, eh? When you think about it in those terms, it helps keep in mind what this is all about. More freedom to live life how you intend. Absolutely! Even though the dividend numbers remain small, they’re pretty awesome when you pitch them against my full-time salaried income! To me, that’s where the true power from dividend growth investing comes from: immediate results that push me forward every single day. I think I’ll be able to cycle to work about ten days every single month. Because my commute is 60km in total and because my employer pays me a fixed cycle rate of €0.21/km, I’ll be sure to receive about 13 Euros every day. 13 Euros times ten days comes out at €130.